This time of the year always reminds me of something important. Four years ago, exactly these days, I backpacked to the Philippines, the very last one of my solo adventure. It was 1,5 month before my wedding day. The trip is dear to me, since deep in my heart I knew it might be the last one. It was almost like a trip of solitude. 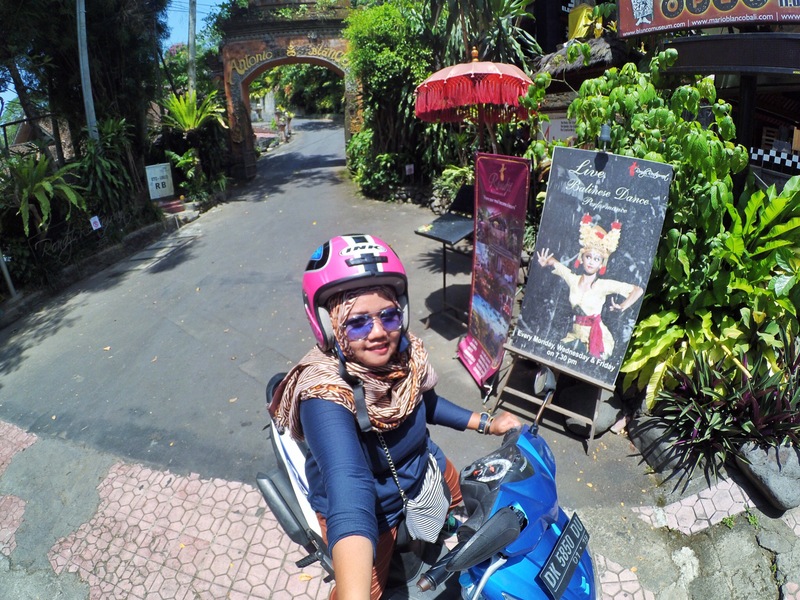 Unlike my solo travel to Bangkok where I shopped too much for family and friends, or a solo trip to Sydney to meet friends, or a trip to Laos where I happily hang out with strangers. It was the trip for me and only me. The Philippines trip was planned to be unplanned. Having took off exactly midnight, I slept during the entire flight and found myself in Ninoy Aquino International Airport early in the morning. I caught a cab that drove me to Pasay City. Boarding the bus that took me passing through jammed Manila, away from the crowd in Dasmarinas, and finally arriving in Tagaytay. I felt like the queen of the world. Conquering the strange land again and could not care less of what other people did around me. I own the world, I said to myself. I was obnoxious. 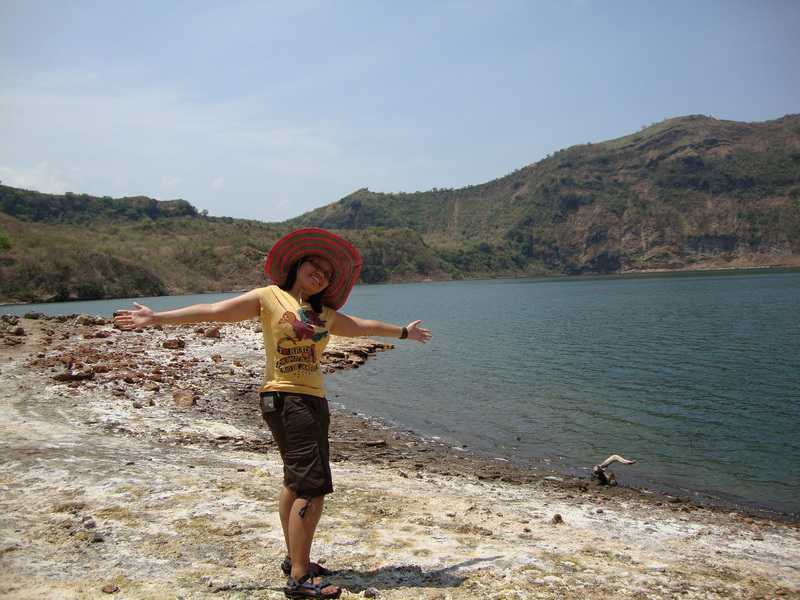 I crossed Lake Taal to get to the volcano, with a donkey and a boy as my companion. 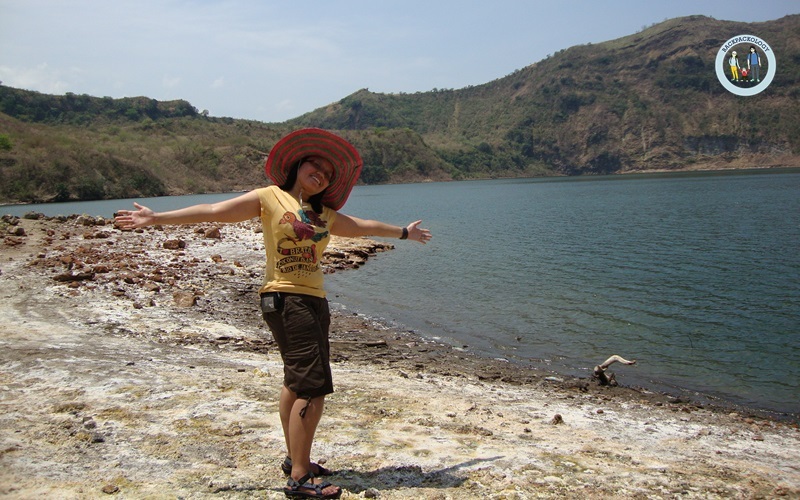 Mt Taal is deemed as the smallest volcano in the world. Indeed, too small for my bigheadedness. A journey far, a journey close to heart. I friended Christopher the cyclo guy. I ate a whole Collette’s coconut pie. I dusted my shorts and sandals. I was the queen of the world. Coming back to Manila to stay in Malate, where Starbucks just around the corner to serve my latte. Little that Puput know I bought one of my lingeries for the honeymoon in Manila – nor he would know which one cause I have plenty. I did not care so much for others. I discovered the city on foot, savoured the historical site of Intramuros, the city’s Chinatown, said hello to the statue of Jose Rizal. I spent my nights walking around – Mabini St, Adriatico St, Pedro Gil St, to the streets of pubs and clubs. Ladies in short skirts and painted nails, men of liquors. Was I afraid? No, I was the queen of the world. Four years on, I have very different life. I no longer have a good job. I no longer have the luxury of pampering myself. I no longer have the time to take bath for half an hour. Looking back, this time of year, I remember the travels that I have done for myself. I miss them so, for I can no longer do that. I now travel in three. A husband in hand, a kid in tow. I no longer the queen of the world. I have traded to a humbler happiness. Now I am the queen of the house. Forever the queen in the heart of my boys.